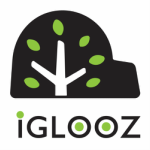 Delivery Information - iGLOOZ Ltd.
Hong Kong orders will be shipped using S.F. Express delivery service/ Hong Kong Post. After we’ve confirmed your order, you can pick up your products at the following address. 1.1 International shipping for customer in other region, including China, Macau and there rest of the world, please contact us at emkt@igloozdesign.com for a shipping quote. Iglooz can assist customers to arrange international shipping or courier goods to over sea. However, the shipping service is not operated by Iglooz; therefore Iglooz will not guarantee the goods’ safety during the transit. Customers have rights to choose and pay for a safer freight company service with higher cost, such as DHL offers insurance for goods-in-transit. If product is damaged during transit, Iglooz will not take any responsibility, while customers or freight company solely responsible to the losses. In addition, customers may arrange other freight company of their choice to pick up the goods directly from Iglooz’s warehouse. Upon the goods arrival, customers will be responsible to pay for custom tax duty if is needed. In Hong Kong, orders are delivered 5 days a week, excluding Saturday, Sundays and statutory Public Holidays (Hong Kong). China, Macau and Rest of the World Orders are delivered Monday to Friday, subject to International delivery times in your country. Payment is received and confirmed. The delivery times are subject to change without prior notice. *Delivery times are determined by number of business days (Monday to Friday, exclude public holiday) from the day after we ship your order. Please allow extra time for your order to be processed during public holidays and busy periods. Please be informed that in some cases your local customs office may require additional documents and time to have your package cleared. During such instances, the estimated delivery time may be affected. Iglooz’s teams will try their best to meet these estimates but cannot guarantee that such estimates must be met. Our ability to ship your order to you is only as good as the information that you provide us. Whether you are ordering products for yourself or others, you must ensure that you provide us with an accurate address. We cannot be held responsible for delivery failures if you don’t give us the correct address or if it is an address that we can't perform delivery to. If a shipment is returned as unclaimed, undeliverable, regardless of the reason, we shall be entitled to keep you liable for the shipping and handling fees that were associated with that shipment. Our delivery time starts from the moment an order is accepted and includes a 24 hour period where your items will be processed and dispatched by our warehouse. Please note this can take longer during out sale periods when it may take up to 48 hours for shipments to be dispatched.